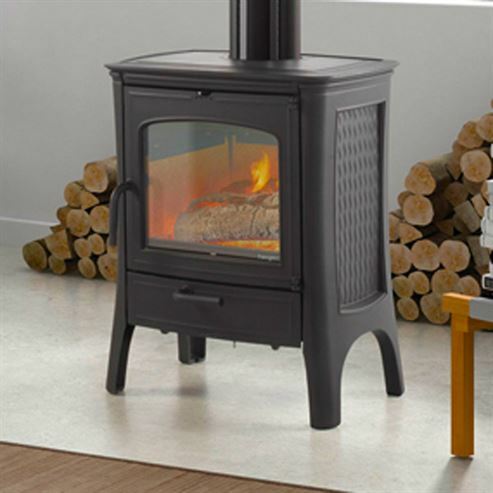 Also in the Hergom range is the slightly smaller E-20 this little stove couples modern designs and elegant lines to create a stove that is very traditional. With the beautiful cast lattice work down the sides of the E-20 you can see why it is so popular. Combining double combustion technology with the advantages and performance of cast iron, this stove is available in matt black and brown majolica enamel, making it perfect for any home.